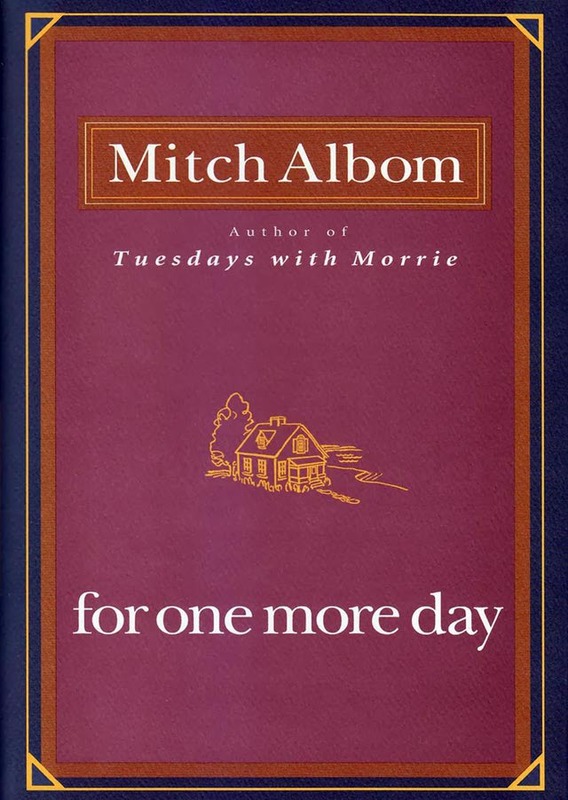 Random And Some: "When someone is in your heart, they're never truly gone"
"When someone is in your heart, they're never truly gone"
I just used Easter Monday morning to finish reading For One More Day (2006) by Tuesdays With Morrie author Mitch Albom. The book was featured on Buzzfeed's 51 Books That Prove Reading Can Change Your Life listicle, immediately piquing my interest with its premise. What would it be like if you could hang out with a deceased loved one for one more day? We all yearn for a chance to make good with lost relatives, to explain family secrets, and to seek forgiveness. For One More Day is the story of Charley/"Chick" and Posey Benetto, a mother and a son, and their relationship. When he was a child, Chick was told by his father that he could either be a mama's boy or a daddy's boy, and that he couldn't be both. Chich chooses his father, only to see the man disappear when he is on the verge of adolescene. Years later, Charley is a broken man, his life crumbled by alcohol and regret. Having decided to take his own life, he makes a midnight ride to his old town. In his old house he finds his mother, who died eight years ago, learning things he never knew about his her and her sacrifices. Albom's philosphical novel is about making amends for past misgivings. While most of us are left behind with nostalgic remorse and regret, the protagonist gets a chance to meet with the ghost of the past and apologize to his mother for postponing visits and taking her for granted. For One More Day is an intriguiging look at mother-son relationships, masterfully urging readers to appreciate those whom they love.Never take anything or anyone for granted!